Software services provider MphasiS Ltd has reported a year-on-year increase of 14.4 per cent in net profit for the quarter ended October, thanks to a combination of greater efficiency, higher margins and decline in the effective tax rate. The mid-tier software services firm, which receives a major portion of its revenue from computer giant Hewlett-Packard (HP), said its net profit jumped to Rs 209.31 crore in three months ended October 31, 2012, from Rs 183.03 crore in the corresponding period of last year. The acquisition of US-based mortgage management specialist Digital Risk LCC will decrease MphasiS' dependence on its parent company Hewlett-Packard (HP). Bangalore-based information technology services provider MphasiS recently announced that it had agreed to acquire Florida-based Digital Risk for $175 million in an all-cash deal. Bangalore-headquartered IT services provider MphasiS Ltd, a subsidiary of computer giant Hewlett-Packard Co, has agreed to acquire American mortgage management specialist Digital Risk LCC for $175 million. Florida-based Digital Risk offers software, analytics & forensics solutions for mortgage providers and insurance firms to help them hack risk of default and ensure compliance with regulatory norms. In today’s trade, shares of renowned IT firm, MphasiS lost 14% during early trade on the Bombay Stock Exchange. The slump has strong influence from the company’s post indicating 28% decline in consolidated net profit for the quarter ended July 31 to Rs 194 crore. 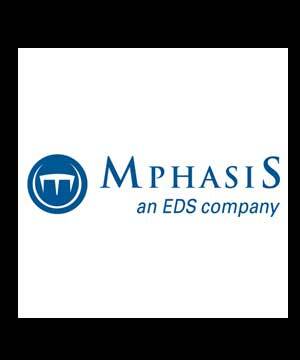 Renowned software Solution Company Mphasis Ltd. has taken over the US based insurance software provider Wyde Corporation, which will now operate as a product business of Mphasis where it will provide Wyde access to new markets and implementation and integration services to Wyde's clients. In a filing to the Bombay Stock Exchange, the IT firm has notified that its subsidiary has engaged itself into an agreement to acquire Wyde Corporation, although the Company had denied disclosing the financial details of agreement. In addition, the filing stated that under the terms of agreement, Mphasis has acquired the liability to hold a 100% equity stake in Wyden and closure of detail is a subject to completion of customary conditions. MphasiS released additional information pertaining to billing rate, revenue and profits for its three segments viz. Application, ITO and BPO. The stock reacted sharply downwards after the Q1FY11 results announcement due to bad performance and also because of discontinuation of certain disclosures. MphasiS reported weak Q1FY11 with revenue decline of 8.5%QoQ to USD271mn, due to one-time impact of 3%QoQ, shutdown at clients’ premises (3.5%QoQ), pricing decline (1%QoQ) and exchange rate impact (0.7%QoQ). pricing decline 1%QoQ Revenue declined 8.3%QoQ to Rs12,335mn. The gross margin declined 454bpsQoQ to 28.9%. G&A expenses as % of revenues dipped to all-time low of 2.9%. EBITDA margin declined 300bpsQoQ to 20.9%. PAT declined 20.2%QoQ to Rs2,267mn. Stock prices of MphasiS have declined by a massive 28.4% on Friday trading on the Bombay Stock Exchange (BSE). MphasiS is one of the leading IT and BPO company of the country from Hewlett-Packard. The stocks have plummeted by 178.1 points and were closed at Rs 448 on the exchange. The main reason of this decline is the poor financial results of the company in the previous quarter. During the three months from November to January, the net profit of the firm has terribly hampered. There has been a sharp decline in the net profit and sales of the firm in this quarter under review. Mphasis shares saw a major setback today with a downfall of nearly 27%. This was the response of the stock market to the company's decline in the profit for the quarter ending January 31,2011. Company discouraged market for its stock prices with its results. HP owned Mphasis posted net profit of Rs 226.67 crore for the November-January quarter. This net profit is a sharp 15.5% down from the Rs 268.27 crore profit posted by company during the same period last year. In the Bombay Stock Exchange, company's share prices were down nearly 28%. In the BSE, stock touched lowest mark in 52 weeks (one year). Adequate volume growth and stable pricing - Mphasis recorded in line Q4FY10 with USD revenue growth of 7.5%QoQ. INR revenue, however, grew only 5.2%QoQ to Rs13,455mn due to the rupee appreciation against USD. EBITDA margin dipped 86bpsQoQ to 23.8% on the back of higher SG&A costs. PAT increased 4.8%QoQ to Rs2,842mn led by forex gain and higher interest income. It reported an EPS of Rs13.46. MphasiS announced a strong Q3FY10 led by volume growth of 7.3%QoQ and 12.4%QoQ in the application and ITO segment respectively. MphasiS reported Q3FY10 with USD revenue growth of 1.8%QoQ. Revenues increased by 4.8%QoQ to Rs 1279 million on account of sturdy volume and pricing growth in the ITO sector. EBIDTA margins declined 112bps to 24.7% on account of higher salary expenditures, lower pricing in the application segment. PAT zoomed 1.5%QoQ to Rs 2712 million owing to lower tax rates. For the quarter under review, Mphasis announced an EPS of 12.8 (PINCe of Rs 11.5). Mphasis announced that its consolidated net profit for the three month period ended April 30, 2010 zoomed 19.2% to Rs 2.67 billion as the same was at Rs 2.24 billion for the quarter ended April 30, 2009. IT service provider said that its revenue during the quarter increased by 16.4%. The company's revenue in the three month period under review stood at Rs 12.2 billion as against Rs 10.48 billion in the same quarter last year. EPS for the quarter stood at Rs 12.73, a rise of 18.5% over the same period last year. MphasiS Q1 net up 28% to Rs.268 cr. Indian software services company MphasiS Ltd. reported better-than-expected results for the first quarter of 2010 with the help of new deals from parent Hewlett-Packard, as outsourcing demand from the U. S. and Europe started to pick up. During the quarter the company reported a net profit of Rs. 268.3 crore against Rs. 210 crore, an increase of 27.7 per cent from the same period of the previous financial year. It has also made benefits from the foreign exchange during the quarter, but a large part of it was offset by higher taxes. Mphasis has informed that it has finalized the purchasing of AIG Systems Solutions (AIGSS), part of American International Group. The sources informed that the company has brought to an end all the legal as well as the statutory necessities for the purchase of 100% shares of AIG Systems. AIGSS is India's leading provider of information technology services and solutions to AIG companies around the world. MphasiS Group, leading information technology firm, has clocked 42.5% decent growth with the consolidated revenues at Rs 1105 crores at the end of quarter concluded on July 31, 2009. Company’s revenues for the similar quarter last fiscal stood at Rs 776 crores. The company, which is an arm of HP-owned EDS, has posted phenomenal growth of 128% in its net profit that stood at Rs 229 crore for current quarter against Rs 100 crore in the previous fiscal. IT and BPO Services Company MphasiS has acquired captive unit of the recession-hit insurance firm AIG, beating rival Patni Computers, for an undisclosed amount. Hewlett Packard (HP)-controlled MphasiS had said a few days back that it was in final stages of talks to acquire AIG Systems Solutions (AIGSS), having centers in Chennai and Kolkata. MphasiS CEO Ganesh Ayyar said: "We have had an excellent relationship with AIG as a customer since 2006 and we believe the captive arm of AIGSS has tremendous capabilities in the insurance vertical and adds to our existing capabilities." Stock market analyst Ashwani Gujral of stockmechanics.com maintained ‘Buy’ rating on Mphasis to achieve a short term target between Rs 400 – Rs 415. According to Mr. Gujral, interested traders can buy the stock with a strict stop loss of Rs 350. Today (July 10), the shares of the company opened at Rs 374.80 as against it last closure of Rs 370.95 on the Bombay Stock Exchange (BSE). Current EPS & P/E ratio stood at 27.32 & 13.78 respectively. The share price has seen a 52-week high of Rs 416 and a low of Rs 119.40 on BSE. Stock market analyst Ashwani Gujral has maintained ‘Buy’ rating on Mphasis to achieve a short term target of Rs 450. According to Mr. Gujral, interested traders can buy the stock on declines with a strict stop loss of Rs 350. Shares of the company, on Monday (June 22), closed at Rs 383.65 on the Bombay Stock Exchange (BSE). The total number of shares traded on BSE stood at 110,366 on the BSE. Current EPS & P/E ratio stood at 27.32 and 14.04 respectively. The share price has seen a 52-week high of Rs 402 and a low of Rs 119.40 on BSE.